BT (British Telecom) and Sony have teamed up to offer users of the electronics giant’s PlayStation Portable (PSP) a VoIP option that will enable them to place voice and video calls to other PSP owners and some BT phones. The service, which is then set to expand to allow calls to PCs, fixed lines and mobile phones, will use a new camera and microphone PSP accessory called Go Camera, to be released in the UK on 25 May. SANYO has introduced the Sanyo Xacti VPC-E1 6MP Waterproof MPEG4 Camcorder with 5x Optical Zoom , a waterproof camcorder aimed at active families, vacationers and water sports enthusiasts. Encased in a colorful compact design, the E1 can record high-quality MPEG-4 video (using the H.264 standard) and doubles as a 6-megapixel stills camera under water to a depth of five feet for up to one hour at a time. The device records to a standard SD memory card or high-capacity SDHC card (up to 10 hours of 640 x 480 pixel, 30 fps video on a 8GB card). Moreover, the Xacti E1 sports a flip-out 2.5-inch LCD color display, 5x optical zoom and an anti-shake digital image stabilizer. It measures 2.8 x 4.4 x 1.6 (W x H x D, in inches) weighing in at 8.3 oz. SANYO does away with the need of a bulky underwater housing and is counting on the easy, one hand operation of the camcorder to allow users to take it everywhere all year round: the beach and the lake for snorkeling and water-skiing enthusiasts, and the snowy slopes for skiers and snowboarders. And of course it is handy for recording all the fun at parties, children’s school or sports events and family outings. The SANYO Xacti E1 will be available in the U.S.A. in a choice of blue, yellow and white colors in mid-June 2007 at $499.99 MSRP. Casio has today announced it will launch the flagship EXILIM Zoom EX-Z1200, the first compact point&shoot camera to sport a 12.1 effective megapixels sensor. An update to the 10.1 megapixel EXILIM Zoom EX-Z1000 , the new model has a 2.8-inch wide display and is said to offer an amazing level of detail allowing users to print high resolution photos in large sizes or when trimmed to show just one part of the image. According to Casio, the 3x optical zoom, high definition video capable EX-Z1200 incorporates “CCD-shift image stabilization and the latest EXILIM Engine 2.0 image processing module with motion analysis technology. These innovative features work together to help prevent blurry shots due to shaky hands, subject movement or poor focus when photographing moving subjects such as children or pets.”: the camera combines an auto-tracking AF system with face detection and motion analysis technologies, locking the focus to a subject’s face even if it’s moving. No pricing has yet been announced for the EXILIM Zoom EX-Z1200. Following this month’s beta testing release (see SourceCrowd’s report here), Microsoft has announced the highly anticipated XBox 360 game Halo 3 will be released on September 25, 2007 in the US (one day later in Europe). Hoping to drive games and consoles sales in the run-up to Christmas, Microsoft will launch the third chapter of the first-person shooter game in 3 versions: the basic game will cost $59.99, a limited edition retailing for $69.99 and a legendary edition for $129.99. Microsoft is set to mount a huge publicity campaign to boost the new game contender, hoping it will help in the console wars against Sony’s PS3 and Nintendo’s Wii. Pre-order Halo 3 clicking here. 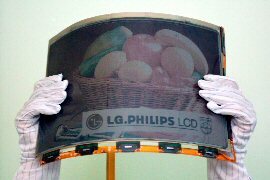 LG.Philips LCD announced it has developed the world’s first 14.1″ flexible color E-paper display, equivalent in size to an A4 sheet of paper and less than 300 micrometers(㎛) thick. The images displayed are said to be comparable in quality to printed pages. This new device is a further enhancement after the company’s black and white flexible E-paper display announced in May 2006. According to the LG.Philips website, the E-paper uses electronic ink from E-Ink Corp. to produce a maximum of 4,096 colors. It has a viewing angle of 180 degrees, allowing images to be viewed even when the display is bent. This new colour version uses a substrate that arranges Thin-Film Transistors (TFT) on metal foil rather than glass, allowing it to recover its original shape after being bent. Apple has today cut the UK prices for the iPod Shuffle mp3 players by 10%, lowering the entry-level diminutive gadget’s price point from GBP55 to GBP49. This move follows a similar trend set in April, when Apple had reduced the prices of its high-end video iPod range (SourceCrowd announcement here). The iPod Shuffle is available in 5 colours with 1GB capacity and up to 12 hours of playback time, measuring only 1.62 × 1.07 × 0.41 inches. AMD has today launched its ATI Radeon HD 2000 series of graphic card. They feature, according to the company’s website, a series of “firsts” in the graphics market: second-generation Unified Shader Architecture (USA), a 512-bit memory bus designed for full performance high dynamic range (HDR) rendering, and new Unified Video Decoder (UVD) technology for high-fidelity HD media playback. The HD 2000 series also takes full advantage of DirectX 10 and Windows Vista’s features, as well as the latest OpenGL programs. The new chips have built-in Crossfire capability, allowing users to pair up 2 cards in PCI Express slots without the need of any additional hardware or cables. AMD’s guide design can include HDMI-out with audio, thus completing the process of transforming PCs into real media hubs in the modern home. This HD revolution involves notebooks as well as desktops: the Mobility Radeon HD series features the same architecture in a package that uses smaller 65 nm process technology in order to achieve passive cooling and promises lower power consumption. 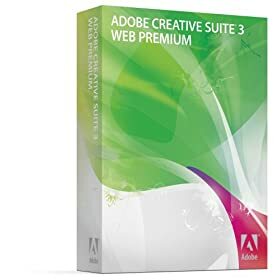 At the same time, these powerful chips should relieve the main CPU from the more taxing graphic tasks, allowing next-gen HD content to be enjoyed on even the smaller, thin portable computers. The Radeon HD 2000 series for desktops will be available in the next few days, with the first Mobility models set to launch in new laptops by the end of the month. Low prices on nVidia and ATi graphics cards with next day delivery!